Not only do you want your home to look good, you want it to be functional. That’s why having a new roof installed when your old one reaches that point is so imperative. It’s not just that the old roof no longer looks as good as it did when it was first installed; it’s that it no longer has the ability to protect your home. Over time, your roof wears and it tears like anything else. When the time comes to replace your old roof, it’s because you might not have a roof that is resistant to water, weather and other issues from this point on. In fact, many insurance companies require that homeowners replace their roof after so many years if they would like to renew their coverage. The biggest issue with a new roof is the sheer expense of having one installed. Roofs are large, and there is a lot of work involved in installing a new one. However, new roofs come with a new roof guarantee, and that should provide homeowners with the peace of mind needed. 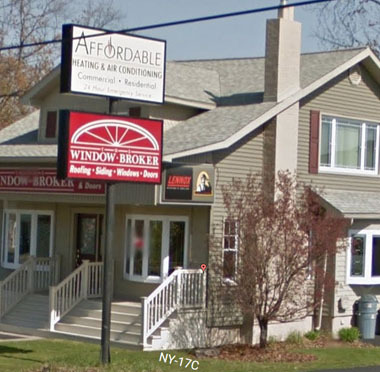 At The Window Broker, we know that you don’t want to spend thousands of dollars on a new roof for nothing. We know you want to know that your new roof will do what it is designed to do so that it’s worth the money you paid. With our comprehensive new roof guarantee, we make it possible for you to have a new roof installed with confidence that it will last a long time without any issues. If it does have issues, we know our new roof guarantee is enough to keep you feeling confident knowing we have your back and your roof for you. The Window Broker is excited to be a GAF Certified Weather Stopper Roofing Contractor. What this program means for you as a homeowner is that your roof system can be installed exactly as the manufacturer intends and warranties it. Only 6% of roofing contractors are in this program, as many roofers are unwilling to go through the process. A new roof guarantee is imperative when it comes to making sure homeowners are comfortable with the work that has been done on their home. We know paying for something this expensive means offering you something in return, and that’s what we do. Call The Window Broker today at (607) 798-9954 to schedule a free estimate. Our roofing experts are here to meet with you to discuss your needs, answer questions and help you design your new roof. From helping you choose the correct size shingles to helping you choose a color that goes with your home, we are here for you every step of the way. Our new roof guarantee is what sets us apart from other roofing companies. We like to ensure our customers have the utmost peace of mind when it comes to your home, and that’s what we strive to provide. Call now for a complimentary consultation and get started on a new roof today.